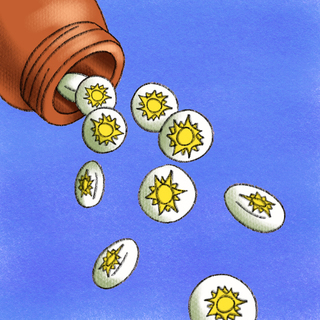 Love it or hate it, vitamin D has been quite the fad of 21st century medicine. Just when we think we have a handle on the most recent literature, a few more studies come out to throw us off our game. In this segment, Brandon Grove shares his reading of the vitamin D tea leaves based on the latest studies. Q: Is a once weekly dose of say 4000U (600x7 =4200) an acceptable alternative to 600U daily supplement? that can limit pill load? Thanks, Sarah! I know many physicians do exactly what you describe. No great evidence to guide us either way. 41% of Americans <20 and the world hasn't ended? We need to be redefining normal rather than reaching for our script pads. Great point, Michele. The collective medical approach when it comes to vitamin D seems to swing from one end to the other.